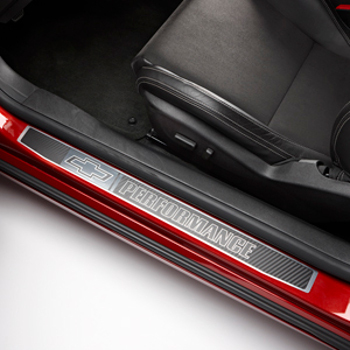 Accent and help protect the entry area of your Camaro with these Door Sill Plates. They are available in brushed stainless steel and feature the Chevrolet script logo on the front set. Contact your Chevrolet dealership for more information..